With the Hot Stove season in full tilt, and the Winter Meetings coming up fairly soon, I thought today we would take a look at some items of interest going on with the Kansas City Royals. 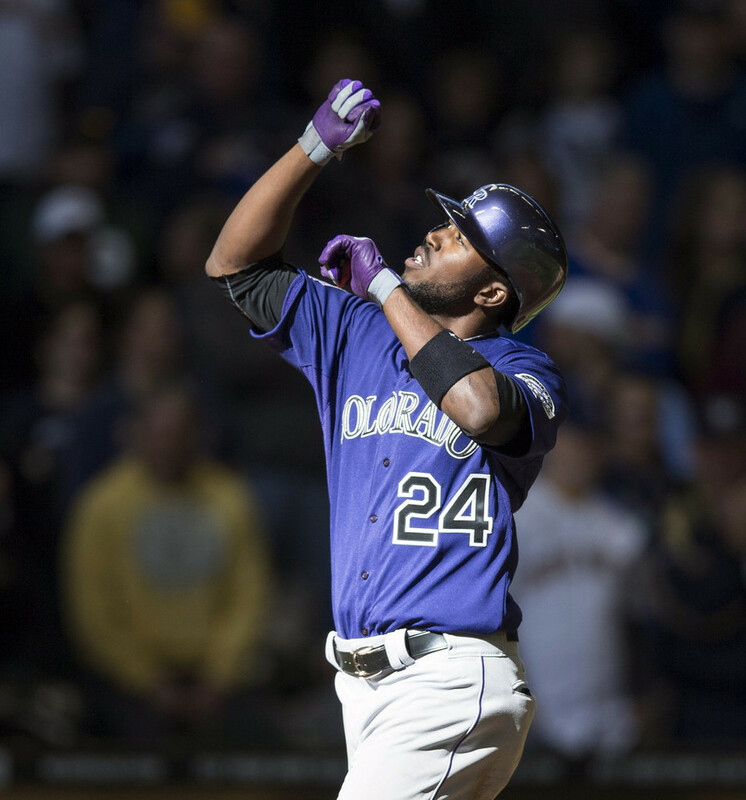 Obviously the main news is the Royals have discussed a trade with the Colorado Rockies and Dexter Fowler has been the main Rockie of interest discussed. Word is that Colorado really likes Wade Davis and might be willing to make a Davis/Fowler trade straight up. Names also mentioned on Kansas City’s side have been Aaron Crow and Tim Collins. Basically, the Royals are willing to part with their surplus of great arms in the pen to fill a hole elsewhere on the diamond. Smart move in that regard and Fowler is about the level of player you would get for a reliever. But would this move be an upgrade? I have been hemming and hawing all day, going back and forth on whether or not this would improve the Royals both offensively and defensively. Fowler has great speed, is only 27, a switch hitter with some power and even takes a walk(the Royals must not know this yet!). Fowler has also been fairly injury prone, has not produced big numbers at Coors Field despite his home/road splits( At Coors: .298/.395/.485 Away: .241/.333/.361 for his career) and for some reason doesn’t have the best defensive metrics. So would he be an upgrade? Probably, but not by much. I tend to think using a platoon of David Lough/Just Maxwell with Jarrod Dyson occasionally filling in for Lorenzo Cain in center field with Cain then sliding over to right to be about the same as if the Royals go out and get Fowler. Fowler is still only 27 years old, so there is a chance he hasn’t reached his peak yet. It would be great for the Royals to be the benefit of that upside, but the possibility of regression is there as well. Either way, I have a feeling we won’t hear anymore on this front until a decision has been made on Carlos Beltran, either way. 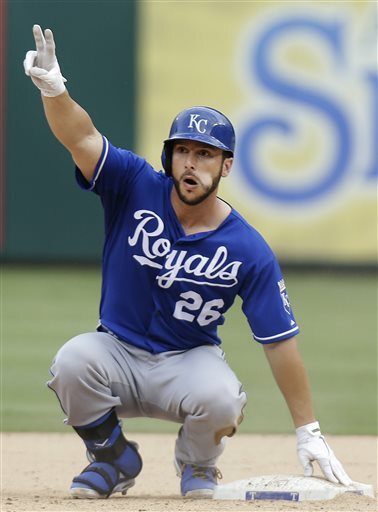 Almost a week ago, the Royals traded backup catcher George Kottaras to the Chicago Cubs for cash. The week before he had been taken off the 40-man roster to make room for newly signed pitcher Jason Vargas. At the time it seemed like an odd move, as Kottaras was a very serviceable backup for catcher Salvador Perez and quite possibly the best pinch hitter the team had on their bench. The running joke was that Kottaras was either going to do one of two things when he was at the plate: take a walk or hit a homer. Kottaras easily was one the most patient hitters for the Royals in 2013 and might have been the most patient I have seen in a long time. So seeing him get cut seemed a little out of place. But there were rumblings that this was a financially inspired move. Even Bob Dutton heard from a Royals official who said this was a money move. So how much money would Kansas City save if Brett Hayes ends up being the Royals backup catcher this year? $500, 000. So this could be about finances–hell, Kottaras was traded for “cash considerations”. But I think one more thing factors in here: Ned Yost is a former catcher who loves his catchers to play great defense. Nothing wrong with that, in fact I am a big proponent of holding on to great defensive catchers. But Kottaras wasn’t chopped liver behind the dish; word was that he called a good game and worked really hard to make sure he was fully prepared for every start. Add in his patience at the plate(with some pop, may I add) and logic would tell you to stick with Kottaras for one more year. Instead he will head to Chicago and the Royals will go with either Hayes, or Francisco Pena. Neither will put fear in opposing pitchers. Though not a big deal, it’s a move that just doesn’t sit well with me. Speaking of things that don’t sit well with me, the Royals gave General Manager Dayton Moore a 2-year contract extension on Black Friday. At the time it felt like a move tucked away on the busiest shopping day of the year, a holiday weekend where few would pay much notice. It still feels that way, as I have to believe the Royals realized it wouldn’t be a popular move. I’ve said my peace on GMDM more than once, and in a lot of ways don’t want to just retread the reasons I feel the Royals are held back by having Moore as their GM. If you want to read my thoughts, read this. It pretty much sums up my thoughts. Craig Brown of Royals Review hit the nail on the head, which I pretty much completely agree with. Now, the extension isn’t a big surprise. Once Yost’s contract was extended, it seemed like just a matter of time until Dayton received his extension. Even if you are like me and wish the Glass’ had waited a few months into the season before extending his contract, Sam Mellinger makes some good points as to why the Royals needed to give Dayton the extension. So I get why this was done; I just don’t think it is in the best interest for the future of this ball club. Hopefully I am wrong and the Royals will flourish, contending for the foreseeable future. But there is a better chance the last seven years are a better indicator of what we should expect. 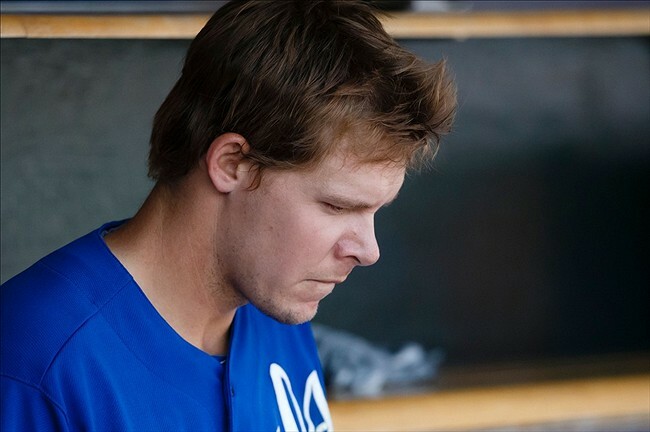 Finally, it just doesn’t seem right for me to write up some Royals thoughts without mentioning the fact that CHRIS GETZ IS NO LONGER A KANSAS CITY ROYAL!!!!! Anyone who knows me or has read this blog knows I am not a big fan of Mr. Getz. I have felt for awhile that the Royals should part ways with ‘The Man Who Was Mistake Free ‘. I poked fun at him with a fake mailbag column. Actually, come to think of it, Getzie was a pretty good muse for me. He brought out the sarcasm in my writing, sarcasm that doesn’t always show up in print. At the end of the day, Getzie was allowed to be a regular part of this team for way too long, or at least too long for a very average player. As a human being, I wish the best for him in the future…as long as it is far away from Kansas City. As a Royals fan, I am elated he is finally gone. I’m sure some will say I’ll have to find some other player to poke fun at now that ol’ Getzie is gone. I would counter that I am looking forward to not having a player on the field that I don’t feel belongs. I’ll feel even better about this if the Cardinals pick him up. I’m off to party now, to celebrate Happy ‘Chris Getz is No Longer a Royal’ Day–but I have a feeling this isn’t the last word from me on Getzie. There might be one more mailbag in me…until then, let’s celebrate!! !